With 2018 coming to a close I decided to make a quick post of my most anticipated games of 2019. I have posted about a bunch of these already in the past, but here they all are again in one post. This list is not in any particular order. Cyberpunk 2077 is an upcoming role-playing video game developed and published by CD Projekt. Adapted from the 1988 tabletop game Cyberpunk 2020, it is set fifty-seven years later in dystopian Night City, California, an open world with six distinct regions. The Outer Worlds is a new single-player sci-fi RPG from Obsidian Entertainment and Private Division. As you explore a space colony, the character you decide to become will determine how this player-driven story unfolds. In the corporate equation for the colony, you are the unplanned variable. Rage 2 is an upcoming first-person shooter video game developed by Avalanche Studios in conjunction with id Software and published by Bethesda Softworks. The game is the sequel to the 2010 game Rage. 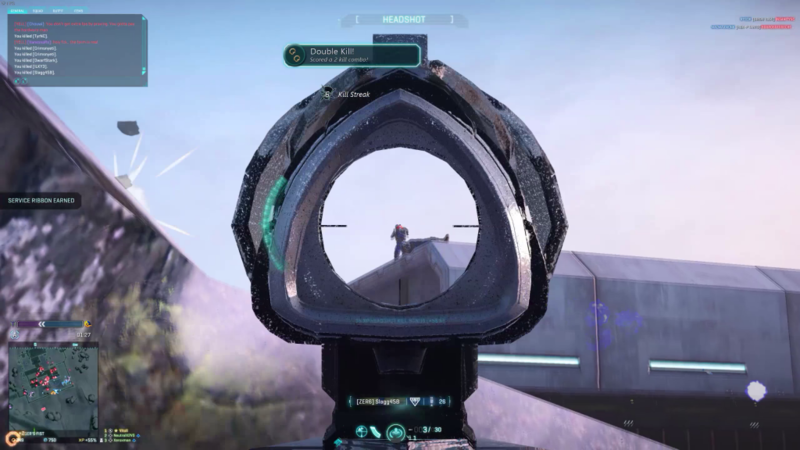 Players assume control of the last ranger, Walker, who must survive in a world inhabited by dangerous mutants after it was hit by an asteroid. The game will take place 30 years after the original game, and feature a cast of both new and existing characters. Psychonauts 2 will be a third-person platform game similar in gameplay to its predecessor. The player will control Raz, a newly graduated Psychonaut with powerful psychic abilities, as he delves into the minds of others. The player will use “Psi-Powers”, such as telekinesis, pyrokinesis, and levitation, in combination with more common platform game elements, to explore the mental worlds of several non-player characters. The forces of Hell have begun to invade Earth, and as the Union Aerospace Corporation struggles to defend it, the Doom Slayer arrives to repel the demons. Starsiege: Tribes, my favorite multiplayer game of all time, turned 20 years old today. It was developed by Dynamix and published by Sierra On-Line on November 30th, 1998. Vehicles. Vast outdoor environments. Focus on teamplay. Base equipment and trinkets. Jetpacks offering full freedom of movement. Mixing and matching gear to create your own roles. Never the same game twice. Even today these features make Tribes stand out in a crowd of other FPS games, but in 1998 when the original Tribes was released, it was downright revolutionary. 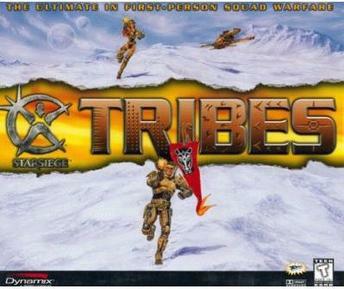 Whether you bought the box, downloaded the demo, or “borrowed” it from a buddy, chances are you’ve tried Tribes. If not, then you’ve still experienced its influence in any number of other games that have since embraced its successful combination of features. Starsiege: Tribes was the first major online-only first-person action game. Long before Counter-Strike, Battlefield, and a host of other imitators, Tribes offered up more than 32 player support, different player classes, a variety of weapon kits, a handful of multi-passenger vehicles, loads of gameplay types, a wide variety of maps, and plenty of team-oriented features. This combination created a game that was an instant hit among fans. The Minecraft server has been updated to version 1.13. It focuses mainly on ocean content and technical features. Specifically, new blocks, such as blue ice, coral, conduits, kelp, sea pickles, stripped logs and wood, and turtle eggs were added, as well as new items, such as buried treasure exploration maps, buckets of fish, hearts of the sea, phantom membranes, tridents, and much more. In addition, dolphins, drowned, fish mobs, phantoms, and turtles were added, as well as new biomes and new generated structures. 1.13 has been out for a while, but we had to wait until our modified Minecraft server software supported it. It is a pretty big update on a technical level, so hopefully there are no major issues. Black Mesa, the forever in development fan-made recreation of Valve Software’s Half-Life, is getting close to being complete. Black Mesa originally released as a free mod back in 2012 before later being released in a more polished form as an “early access” title on Steam in 2015. I completed the early access version of Black Mesa a few years ago and found it to be an excellent remake except for one glaring omission: the last few levels. In the original Half-Life, Xen consisted of a number of short level segments filled with a lot of annoying jumping puzzles and a fairly unspectacular boss battle. It was easily the weakest part of Half-Life. 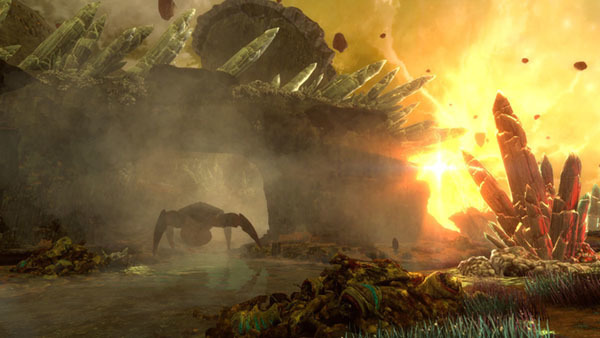 While most of Black Mesa is a faithful recreation of the original game, they decided Xen needed a lot of additional design work in order to get it up to standards. They also had to build some custom lighting tech in order to support the visuals they were going for. It has taken the Black Mesa team a few years to re-imagine these final levels, but it looks like it was worth it. I have been working on a bunch of Infiltrator related directives lately, so that’s mostly what you get in this video. So if that’s not your thing, sorry! The next video should be something else since I mostly have those directives completed now, and going for directives is the main thing that has been keeping me playing lately. At least I got this cool helmet now…. it is cool, right?…… right?